The Canadian Trade, Information, Advertisements, Etc. Re: The Canadian Trade, Information, Advertisements, Etc. 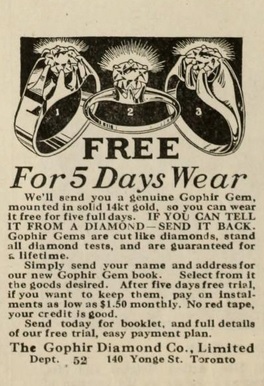 Their trade mark was in use as from 1953. E. F. Fox, jeweler of Carberry, Man., is discontinuing business. 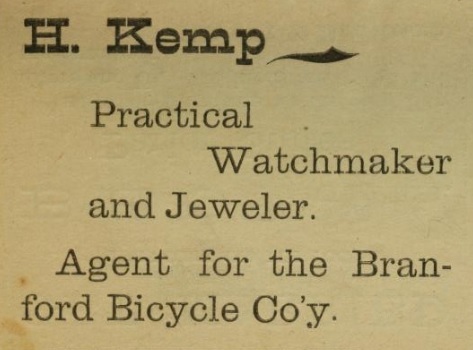 J. G. Kerr, jewelers, has commenced business at Lethbridge, Alta. B. Moscovitch has opened a jewelry store at 466 Main St., Winnipeg. The stock of James Davidson, 115 King St., Winnipeg, sustained damage by water during a recent fire. 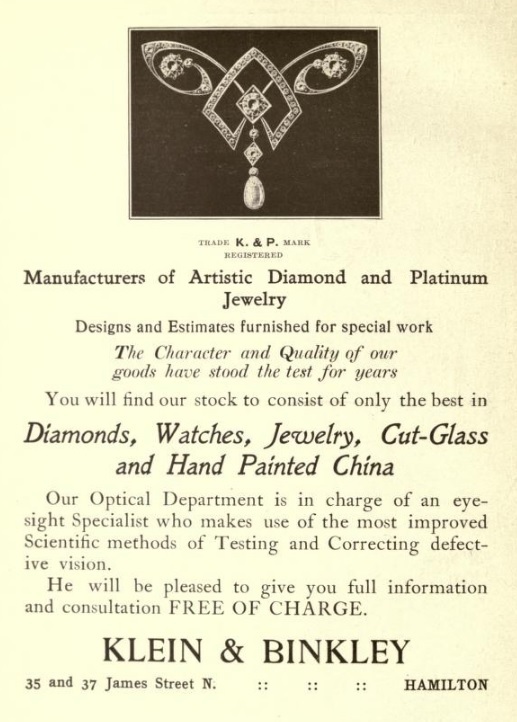 N. Brock Wilkins has succeeded R. D. Kay in the jewelry business in Galt, Ont. D. J. Laurie, 2257 St. Catherine St., Montreal, has assigned at the demand of J. L. Gurd. 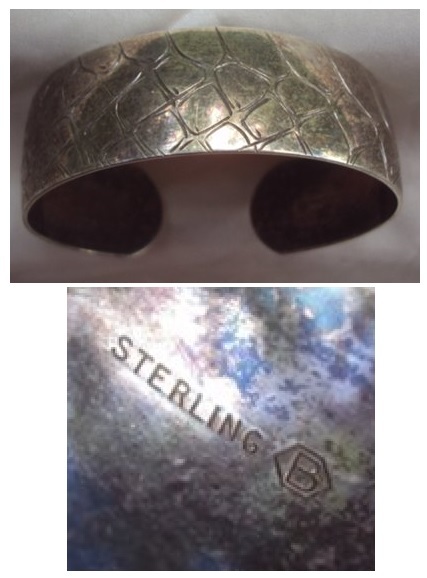 More & Burbidge are a new firm who have recently opened for business in Linnenburg, N. S.
The Anchor Silver Plate Co., St. Paul, is arranging to open a branch in Winnipeg, Can. A little man who described himself as M. Strauss, a jeweler of Toronto went Into the Hofbrau Haus at Broadway and Thirtieth street yesterday and ordered a veal outlet and a glass of beer without looking at the price list. When he finished, he placed a quarter on the table, and when waiter handed him a check for seventy cents the man from Toronto declared he would not pay It because it was too high. There was a dispute and he finally compromised by paying fifty cents for what had had eaten. According to the story Strauss told Tenderloin police later he was forced to do this because he had been kept in the cellar of the restaurant until he agreed to pay. 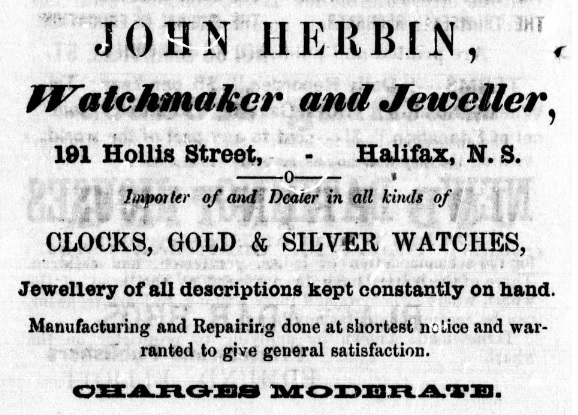 A man is under arrest in Hamilton, Ont., on a charge of obtaining a pair of gold spectacles from Klein & Blinkley of that city, under false pretences. John J. Walls, Woodville, Ont., has sold out to J. B. Rogers. E. L. McDonald has opened a jewelry business at Main St., Winnipeg, Man. A meeting of the creditors of Ovide Lariviere, St. Anne, Que., took place on the 28th inst. John Vanstone, Mt. 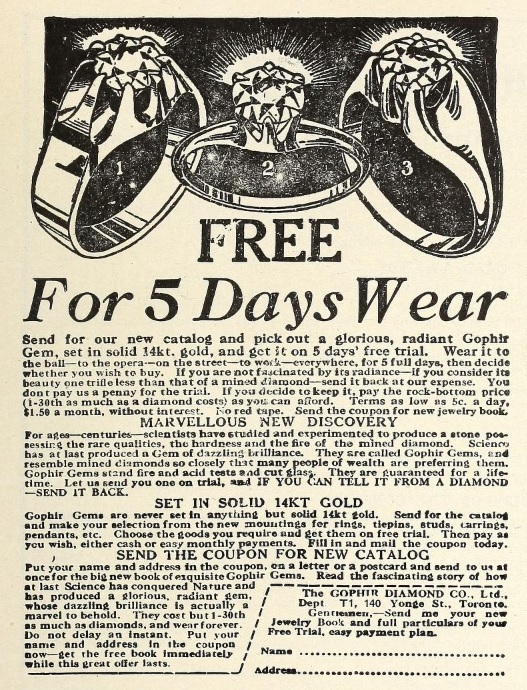 Forest, Ont., has given a renewal chattel mortgage for $450 to J. Vanstone, Jr.
N. Wilkins has obtained a judgment summons against Edward and Lillie A. Beeton, jewelers, Toronto; amount, $315. Jos. Archambault has been arrested for breaking into Weinstein’s jewelry store, Montreal, and stealing about $400 worth of articles, including many watches. Archambault was caught while selling the watches to farmers in the Quebec district.